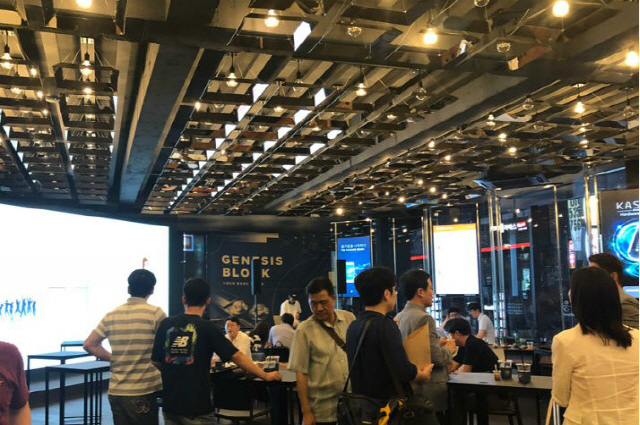 Why not visit 'Blockchain salon' in Gangnam? Some people burst into laughter while looking at the beverage menu at a desk where orders are taken. 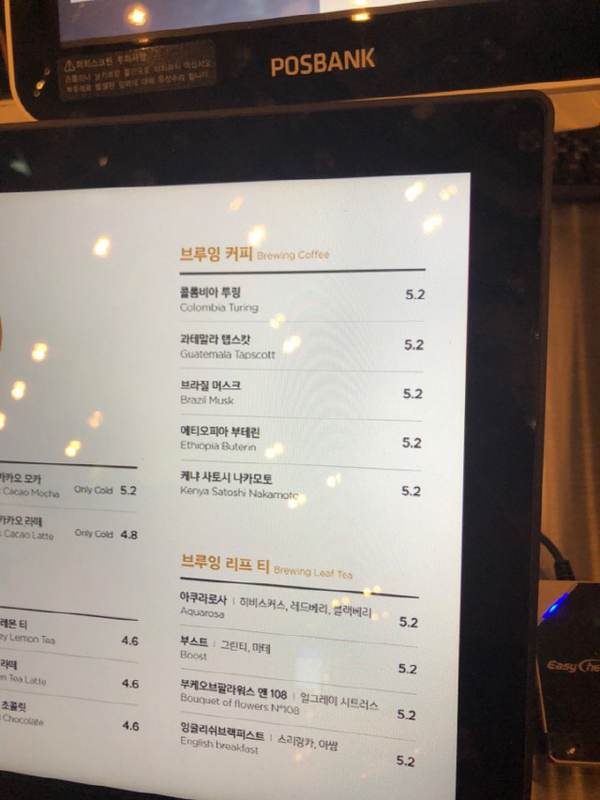 That’s because of the names of coffee drinks on the menu that come from such celebs in the blockchain industry as Satoshi Nakamoto, the alleged inventor of Bitcoin, and Vitalik Buterin, co-founder of Ethereum. Along the hallway to the bathroom was the “Blockchain Wall of Fame” that arranged seemingly successful projects in the order of occurrence. Most projects, except Bitcoin, were based on ERC20. Some customers were seen raising questions in front of the wall, wondering, “There is not a single Korean project. What are screening standards?” As befits its blockchain name, quite a few of the customers to the cafe seemed to have high interest in related technologies and industries. Soon they brought up specific projects on the wayjk@decenter.krll and discussed pending issues concerning the relevant cryptocurrencies. A person involved in the operation of the cafe had a goal of making the cafe a place where people in the blockchain industry meet to share information and interact with one another. It looked as if he had in mind a salon in Europe from the 17th century to the 19th in which distinguished writers and nobles got along to lay a foundation for the subsequent literary development. “We will play a role as a bridge between businesses and the public through education programs and meetups on blockchain and cryptocurrencies,” Noh said.